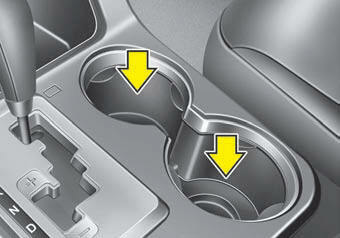 WARNING - Hot liquids • Do not place uncovered cups with hot liquid in the cup holder while the vehicle is in motion. If the hot liquid spills, you burn yourself. Such a burn to the driver could lead to loss of control of the vehicle. 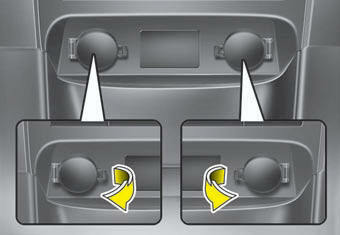 Adjust the sunvisor extension forward or backward (3). 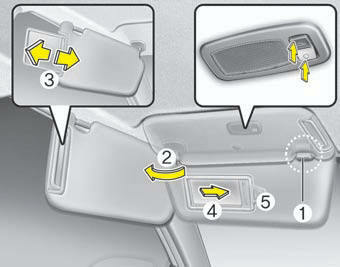 To use the vanity mirror, pull down the visor and slide the mirror cover (4). Power outlet (if equipped) The power outlet is designed to provide power for mobile telephones or other devices designed to operate with vehicle electrical systems. The devices should draw less than 10 amps with the engine running. 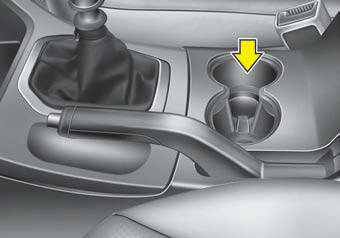 • Use the power outlet only when the engine is running and remove the accessory plug after use. 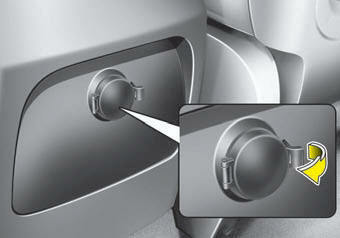 Using the accessory plug for prolonged periods of time with the engine off could cause the battery to discharge. Do not put a finger or a foreign element (pin, etc.) into a power outlet and do not touch with a wet hand. You may get an electric shock. Pressing the H button will advance the time displayed by one hour. 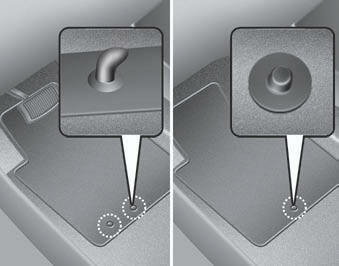 Pressing the M button will advance the time displayed by one minute. To change the 24 hour format to the 12 hours format (if equipped), while pressing the “H” button, press the “M” button for 3 seconds or more. For example, if the “H” and “M” buttons are pressed for more than 3 seconds while the time is 22:15, the display will change to 10:15. Floor mat anchor(s) (if equipped) When using a floor mat on the front floor carpet, make sure it attaches to the floor mat anchor(s) in your vehicle. 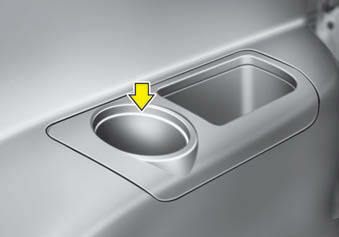 This keeps the floor mat from sliding forward. • Don't put an additional floor mat on the top of the anchored floor mat, otherwise the additional mat may slide forward and interfere OED040228 with the movement of the pedals. 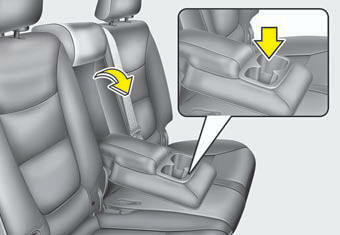 Luggage net holder (if equipped) To keep items from shifting in the cargo area, you can use the holders located in the cargo area to attach the luggage net. keep your face and body out of the luggage net’s recoil path. DO NOT use the luggage net when the strap has visible signs of wear or damage.